Emily May, a New Yorker who brings people with diverse views together over a shared meal, will be one of the hundreds of civic leaders that will join us at the Obama Foundation Summit in Chicago later this fall. Read Emily’s story, and then sign up to get updates about the Summit and meet more of the inspiring attendees. For many of us, our country has never felt more divided. I realized that if we’re truly going to address this, we can’t just fight against each other. We need to fight for something. So, along with some friends, I founded The People’s Supper. The concept is simple: Bring a group of willing people together for a meal, and give them the opportunity to truly hear from and see each other, face to face. 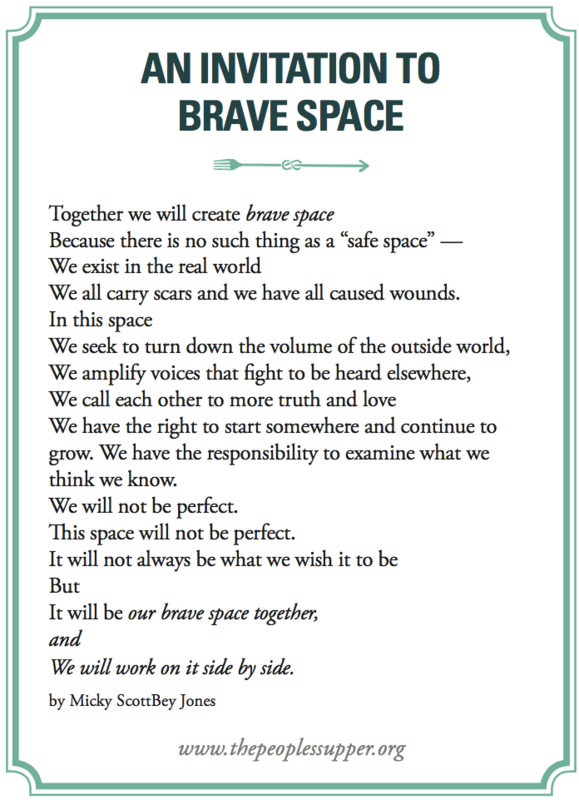 These dinners aren’t about holding hands and singing “Kumbaya” — they’re about creating a “brave space” to be vulnerable and to face the unknown. And most folks do show up to the dinners a little nervous, a little afraid. But they almost always leave a little more open, a little more understanding, and a little more brave. These dinners can be places for healing — and places for bridging. People can use them to support each other, and to better understand each other. At each one, we ask the same series of questions: What’s the first moment that you understood what it means to be a citizen? What do you dream for your community? What was a moment in which you were made to feel not welcome? They’re questions designed to help get past the barriers of politics and identity and see each other’s shared humanity — to realize that we all have pain in our lives, and we all experience joy, too. These core questions of community and citizenship are why I’m so honored and excited to attend the Obama Foundation Summit this fall. When I think about citizenship, I think about a willingness to create together — to create a country, a community, a dinner. And if you assemble hundreds of people from around the world who are committed to creating together — as the Summit will — I know the impact will be exponential. And really — what’s the alternative to building something together? Continuing to retreat more deeply into our isolated circles, into the comfort of the familiar? I don’t think that’s the answer — and I don’t think you do, either. I hope I’ll see you at a People’s Supper sometime soon. In the meantime, I can’t wait to tell you more about my experience at the Summit this fall. Thanks for listening.